UKpouchies was established by founder Lesley Reed in 2007. Lesley has kept and bred rats of various types since 1991. 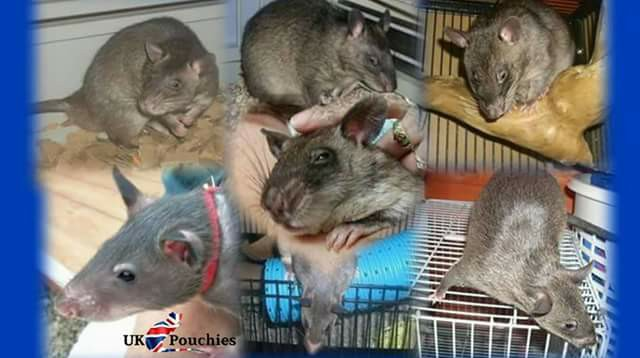 She now runs UKpouchies which is a free information site about Pouched Rats, there is also a free to join fourm where you can talk to owners, breeders and enthusiasts alike, just click on the link at the top of this page. 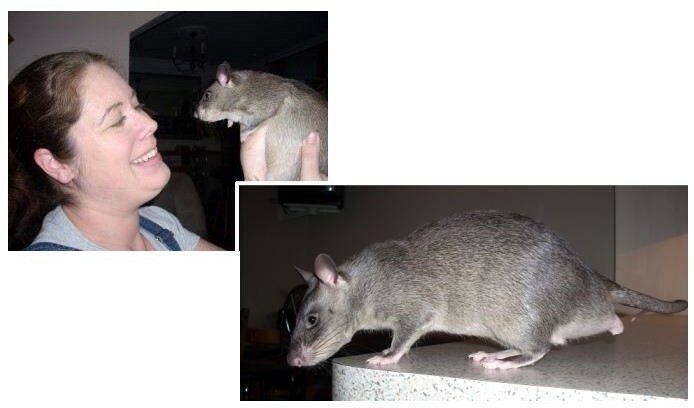 Lesley also provides a free consultation and advice service to anyone wanting to learn more or discover about Pouched Rats as domesticated pets, if we dont have the information you require then we may know a specialist who does. UKpouchies occasionally rehomes any unwanted or unsocialised Pouched Rats and does also occasionally breed and train Pouched Rats which are supplied to zoo’s, wildlife parks and also private pet owners. It is with a heavy heart we announce the sad passing of UKpouchies Tora Bell. Risks of treating pouched rats with steroids highlighted. The founder of APOPO gets to meet UKpouchies very own Tora. The new look UKpouchies website is currently under construction. Please bare with us. The Rat & Mouse Magazine to feature article about pouched rats. UKpouchies © 2018 – UKpouchies, its logo and content are recognised trademarks. No unathorized copying of content without written consent.